You are here: Home / Our Animals / Chickens / Pumpkin Seed, Cayenne, & Wormwood Deworming Treat For Backyard Chickens! If your chickens have worms, it can seriously derail their egg laying. Yes, my hens love mealworms! Worms (aka freeloaders) rob your hens of vital nutrients while making it more difficult to pass manure, and generally just trash the insides of your chickens – so you gotta get rid of them (and it doesn’t hurt to be proactive). Unfortunately, because chickens walk around without shoes and socks on, they’re likely to be exposed to parasites more than we like. There’s not really a good wormer on the market for chickens, although Ivermectin is considered safe and it’s definitely effective against worms in dogs, horses, pigs, etc. But the problem with wormers, aside from the fact that we don’t really have great dosages for chickens, is that they have withdrawal periods, meaning you can’t eat their eggs for about 30 days (unless you want to get a mouthful of Ivermectin. If that’s your thing, then by all means, go for it). For those trying to raise their chickens organically, then of course pharmaceutical wormers aren’t ideal. That’s why I developed this fun treat with ingredients that might help your hens expel those nasty critters and hopefully prevent them in the future. Now bear in mind that with many of these ingredients, their effectiveness is merely anecdotal; there’s not a TON of studies to show whether pumpkin seeds, pepper, or herbs will truly leave your hen’s insides squeaky clean of freeloaders. But I put these things into the category of “can’t hurt, might help,” and at the bare minimum, your hens will have fun eating the seeds and gobbling down garlic. You should also remember that treats aren’t a meaningful replacement for a quality layer feed that’s formulated to ensure your fluffy butts get all the vitamins and minerals necessary. Multiply amounts of ingredients based off the amount of chickens you have. Mix all ingredients together and serve as a treat. Be sure to use raw, unsalted, pumpkin seeds and sunflower seeds. Pumpkin seeds are a popular folk remedy for preventing and curing worms, although it’s not really been studied in chickens. There was one study done in mice that showed extracts from pumpkin seeds reduced the worm load when fed in 8 grams of pumpkin per 1 kg of animal weight. There’s also been studies that showed pumpkin seed oil is good for the urinary tract in humans and might help against tapeworms. 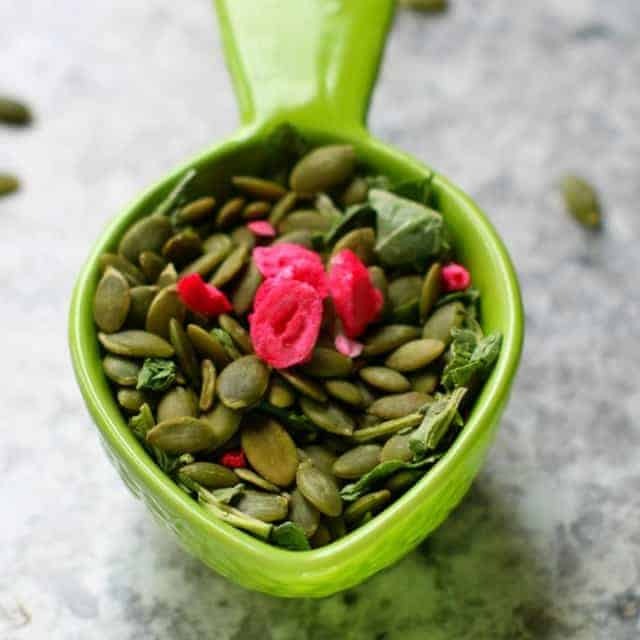 At a bare minimum, chickens love pumpkin seeds, so they’ll enjoy gobbling them down. 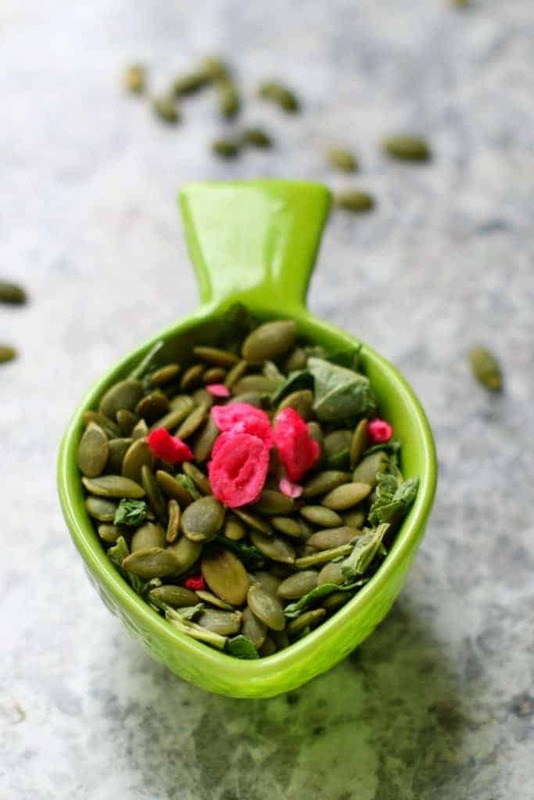 It’s also important to note that an all-seed diet can cause Vitamin A deficiency, which might cause bumblefoot, so don’t only feed your chickens seeds. 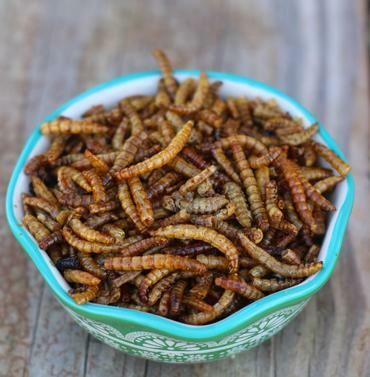 The other main ingredient in this recipe, the cayenne pepper, has long been purported to help humans and animals get rid of worms. The reasoning behind it is that the worms don’t like a chemical constituent in peppers – Capsaicin – and it causes them to detach from their hosts, and chickens can then poop the worms out. This breaks the lifecycle of the worms. Again, evidence it works to expel worms in chickens is limited, although it has been studied in rats. Wormwood has long been used as a remedy to prevent and treat worms since nearly as long as humans have been around. During the middle ages, it was the go-to cure because worms find the herb bitter, and choose to not stick around. It’s also the “active ingredient” in some herbal wormers you’ll find on the market. Garlic is never a bad thing for chickens, and it’s been shown to help living creatures be healthier and have better immune systems. Parasites also object to the smell and spiciness of garlic, so it’s possible it’ll help your flock stay worm-free as well. If you want to prevent worms in your chickens, making sure their surroundings are clean and moisture free is a good place to start. A healthy diet will help keep them in tip top condition so if they do get a parasite infestation, they have the energy to fight it off. This treat is a great addition to any feeding plan out there, and you’re chickens will love it as much as mine do! It’s wormwood – an herb. We’re going to carry it in the shop soon! We’re going to be carrying it in the store soon! I always prefer to go the natural route when it comes to anything regarding what my feathered children put in their mouths (“beaks”). Just a quick question: I want to make sure you meant only 2-3 (individual) cranberries per chicken – and not 2-3 oz or 2-3 tablespoons or 2-3 some other measurement. Would you pease clarify this for me? Thanks so much for all your great advice! My hens love salsa. Would this be considered a de-wormer? If it’s fresh and homemade, the jalapeno might do something. If it’s store bought, then it probably won’t do anything because it’s so over processed. The capsiacin in hot peppers (jalapeno, cayenne, etc) is what the worms hate. Hope this helps! Thank you, it helps. The salsa is homemade.